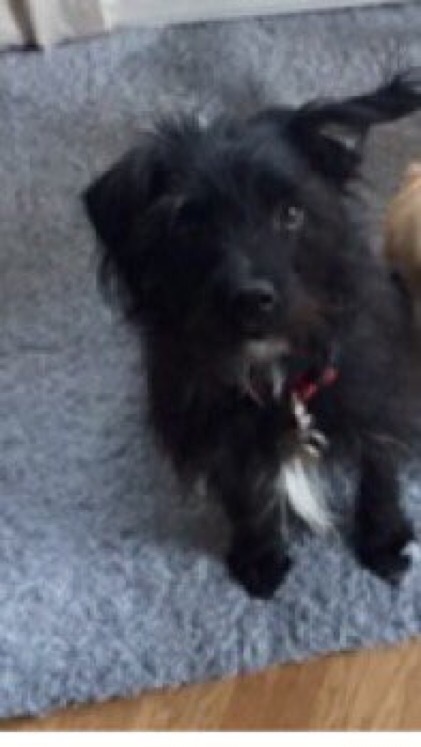 CARLA REUNITED ❤️ UPDATE:- Owner was contacted by Natalie from the RSPCA, who rescued Carla. She was contacted my someone walking their Dogs. Carla was still caught between the fence alongside the railway and had travelled way beyond Barnes Station East. I think I understood Putney Bridge! Natalie said "She was found by an elderly lady and her son in Putney who heard a dog barking at the end of their garden and their own dogs were barking to. The ladies garden backs on to the Putney rail line and that is where little Carla was so she was very lucky to have not met a train while on her adventures! The son – not knowing how Carla would react to himself – called the RSPCA for assistance which is when I attended and together we managed to get her back to safety together! I managed to find you due to Carla being microchipped, all I had to do was scan her! She was crying when she could hear us but couldn&apos;t see us but was quite happy and excited wagging her tail on approach. She was in Putney along the train lines from the main station. The gentleman that found her and I climbed the fence and popped Carla in a dog carry case and passed her back over the fence between us, she seemed quite happy to be helped! We had a little cuddle while I waited for the chip information to come through, she&apos;s so lovely and affectionate"
Well done to all involved with Carla&apos;s rescue. Lucky girl!! Carla and her dad are flying back to Germany now so a reunited picture to follow soon. Original post:- CARLA is on holiday to the UK and is missing! 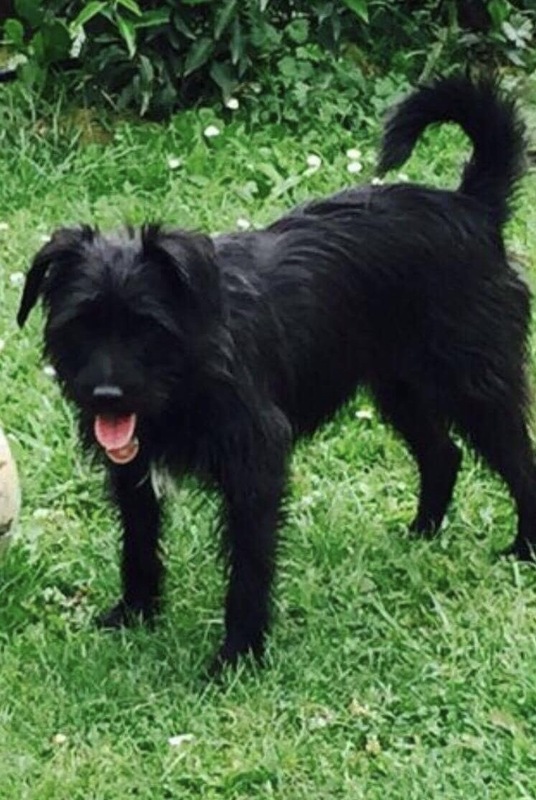 She is a Female Terrier Cross Black (Age: Adult). Dissappeard from garden in West Putney, London, SW15 area, South East on Thursday, 20th July 2017 around 5 pm. Reported sighting:- My daughter and her friend saw her running from upper Richmond road towards Roselyn park rugby club. They saw her carry on running on Priory Lane towards Richmond Park. She was running in the direction of Roehampton Gate. This was last night, Friday, 21st. "Carla is visiting from Germany, the telephone number on the name tag is missing the german country code, she is 30 cm, 9 kg, likely to be friendly but very shy, she is registered with Tasso in Germany microchip database. (Now registered on UK database). Someone thinks they might have spotted her around Barnes Station." ← Stolen SIMBA taken to vets after being found in locked car!